Dexcoat is a two component solvent-free high-build epoxy resin system designed for use as a heavy duty floor coating or self smoothing topping. With the addition of anti-slip aggregates the coating will provide a textured finish where required. The system is applied by roller or brush to provide a hard wearing finish. 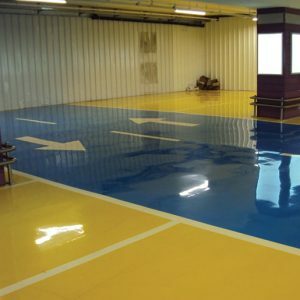 Resuseal WB epoxy resin floor and wall coatings are two-part, water-based, durable, seamless finishes, which are primarily designed for general application in all areas of industry where a hard wearing coating is required. Applications include warehouses and production units, food preparation areas, laboratory-clean room environments, and any areas of maximum hygiene, such as operating theatres and breweries. Resuseal WB (all grades) is ideal for use in the food industry E.g. dairies, breweries and bakeries where solvent based products are prohibited. Resuseal WB has been approved by Campden BRI. Resucoat™ HB is a two-pack solvent free, high build epoxy resin coating for application as a heavy duty coating at a thickness from 200 to 500 microns. 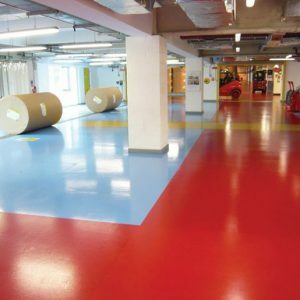 The coloured high gloss finish is easily applied and provides a tough, resilient, corrosion and abrasion resistant floor. RSL have always been one of the leading players in developing sustainable solutions in the resin systems marketplace. Decades of putting the environment first means reducing the impact of what RSL do has become second nature. It is a truly embedded commitment which has established RSL as the UK manufacturer with the most comprehensive range of solvent-free, water-based products and extensive sustainable policies across the business. Resucoat™ Profile is a two-pack solvent-free high-build epoxy resin system for application as a heavy duty non-slip floor coating at a thickness from 180 to 500 microns. The coating will provide a textured gloss coloured finish incorporating an anti-slip aggregate which is pre-dispersed within the material. Applied by roller and paint brush the product is low odour producing a seamless, hard wearing, hygienic floor finish. 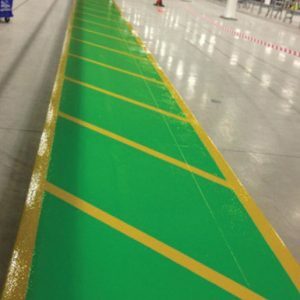 Resucoat™ Profile is ideal for use in areas where a heavy duty, slip resistant flooring is essential such as; Food processing and beverage areas, chemical plant rooms, engineering workshops, automotive & aviation areas, factory units and warehouses. Resucoat™ Profile is certified by BCF. Resuline is a fast curing two-pack, high build system for application of lines and hatching to floors at a thickness from 200 to 500 microns. The coloured high gloss finish is hard wearing and has good chemical resistance. Resuline can be applied to a wide variety of surfaces and finishes subject to appropriate preparation. It can be applied by brush roller or trowel to tapes and markers with the minimum of creep even on textured surfaces. 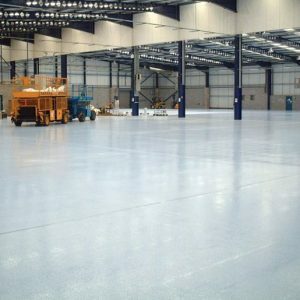 High gloss, good light reflection Resutop two-pack epoxy resin coatings provide seamless finishes where high build, hard wearing, chemical, abrasion and impact resistant floor surfaces are required. Resutop systems are solvent free, non-toxic, low odour during application and provide a versatile, durable, attractive gloss finish in a range of colours. Resutop finishes have exceptional adhesion and, whilst being principally designed for coating concrete, they can be applied to a wide range of substrates. Resutop Cold Cure is a fast curing epoxy resin for application at low temperatures down to 5°C. 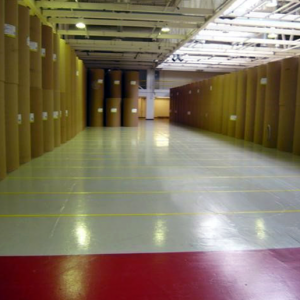 The product is chemically resistant with a heavy duty floor coating at a thickness from 200 to 250 microns. The coating provides a smooth gloss finish to which anti-slip aggregate can be added if required. Applied by roller and paint brush the product is low odour producing a seamless, hard wearing, hygienic floor finish. 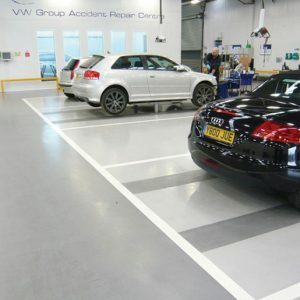 Resutop is available as a clear coating or in the RSL range of colours. 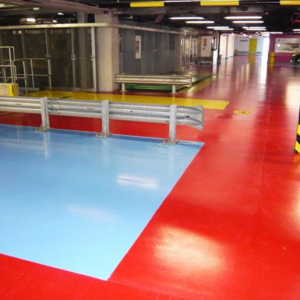 Resutop FH is a two-pack fast cure epoxy resin coating designed as a seamless finisher where high build, hard wearing, chemical, abrasion and impact resistant floor surfaces are required. Resutop FH is a non-toxic, solvent-free, low odour during application and provides a versatile, durable, attractive gloss finish in a range of colours. Resutop FH finishes have exceptional adhesion and, whilst being principally designed for coating concrete, they can be applied to a wide range of substrates.